This unusual postcard appeared at a postcard show in 2015. 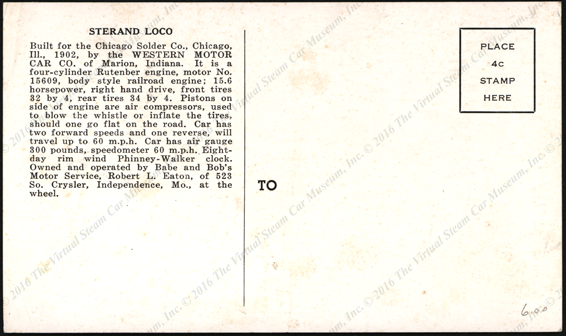 Beyond the information on this postcard, noting is know of the Sterand Loco made by the Western Motor Car Company of Marion, IN. 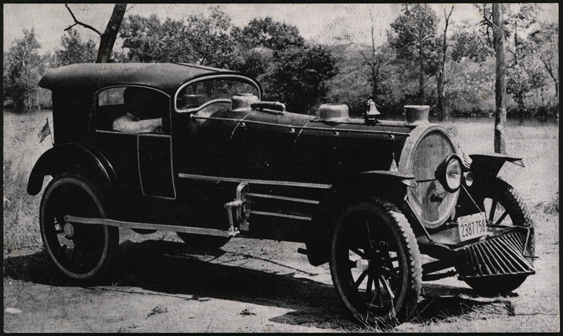 Contact us if you have additional information about the Sterand Loco, or if you have questions.